From the Samsung NVMe Driver Version 1.1 Installation Guide. 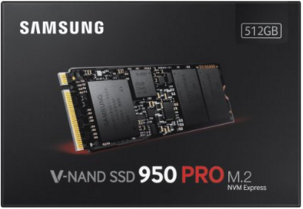 Just in case you've got yourself a Samsung 950 PRO PCIe NVMe M.2 internal SSD, there's a new Windows 10 device driver for you, and a new Samsung Magician. What's changed? All we know is "Driver version update for USB compatibility", presumably to allow the use of a USB enclosures that can house such 2280 M.2 drives. Samsung_NVMExpress_Driver_rev11.zip Samsung states "Notice: The driver operates in Windows 7/8.1/10 x86/x64." I only tested with Windows 10, using my Supermicro SuperServer Bundle 1, based on the SYS-5028D-TN4T. Booted directly to Windows 10 build 10586.63. Lycom DT-120 M.2 to PCIe adapter. can I boot from the Lycom DT-120 M.2 to PCIe card? is a resounding yes! At least when used in this SSD and Xeon D-1540 motherboard combination, using my recommended BIOS 1.0b settings, or my benchmark optimized settings, or the slightly altered settings. 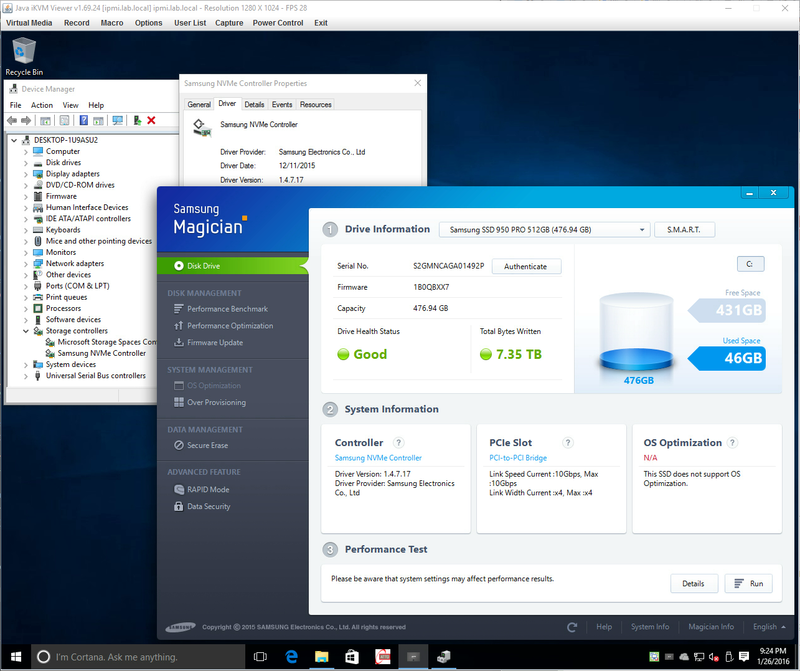 Samsung NVME Driver 1.4.7.16 with Samsung Magician 4.9. Samsung NVME Driver 1.4.7.17 with Samsung Magician 4.9.5, which now always shows PCI-to-PCI Bridge, whether the M.2 is in the M.2 slot on the X10SDV-TLN4F motherboard, or in a Lycom PCIe M.2 to PCIe card. Notice the date of the NVMe driver, 12/11/2015. By the way, I can't understand why Samsung still doesn't let OS Optimization run under Windows 8.1 or 10. All Samsung 950 PRO articles at TinkerTry.